During the week I find I don’t have much time to read all the news, blogs and such that I would like. Thank goodness for the weekend though! I can slow down a little bit and meander through the interwebs looking for interesting, unusual or beautiful things. In this space, I’ll share with you some of what I come across that I think is worth sharing. 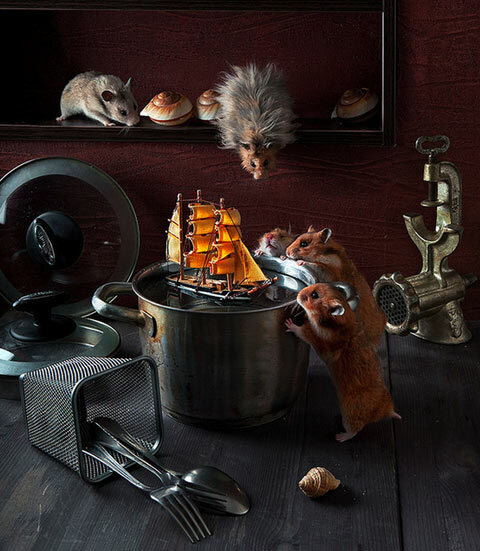 Still Life with Hamsters via Feature Shoot. Seven Ways to Boost Your Energy via The Happiness Project. A Fun Catalogue Challenge from Girls of a Certain Age. What a House Means to Me via A House in the Hills. Beautiful Portraits from Burma via Lenscratch.